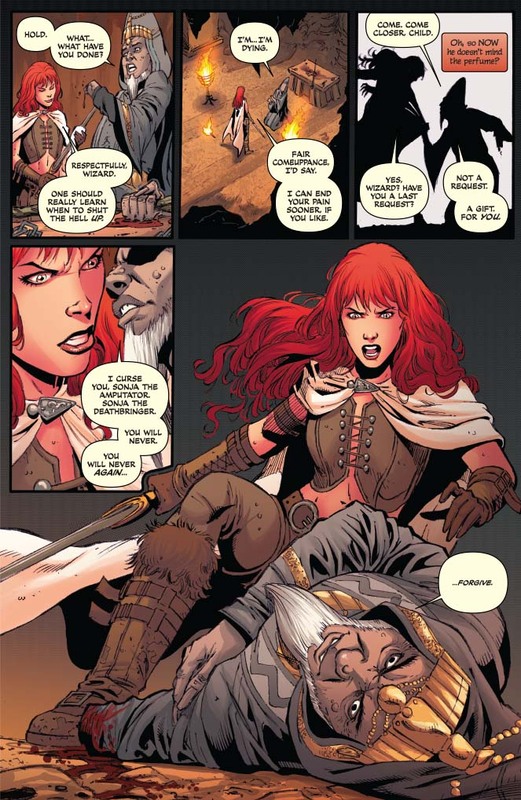 From the acclaimed creative team of Gail Simone (Birds of Prey, Batgirl) and Walter Geovani comes an all-new Red Sonja epic that will shake the She-Devil to her core! 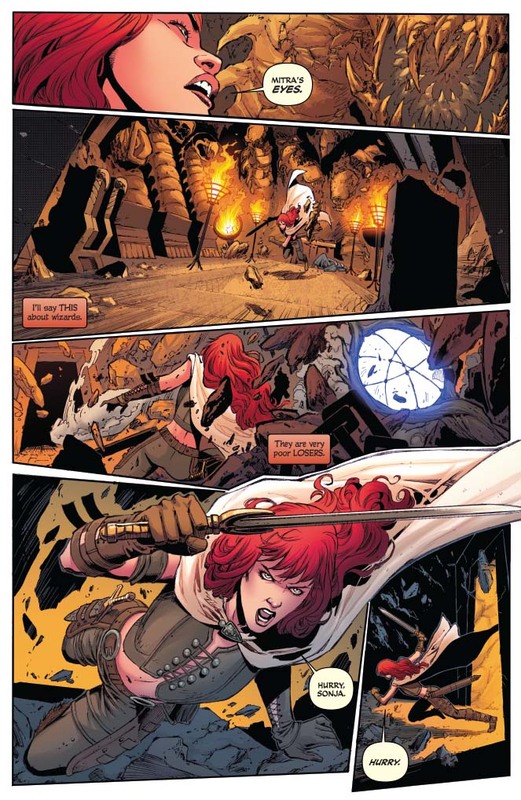 While the Hyrkanian warrior aids a small village against the ravages of a rampant parasite, she picks up the trail of the man she hates and distrusts most in the world: the last survivor of the marauders who murdered her family. 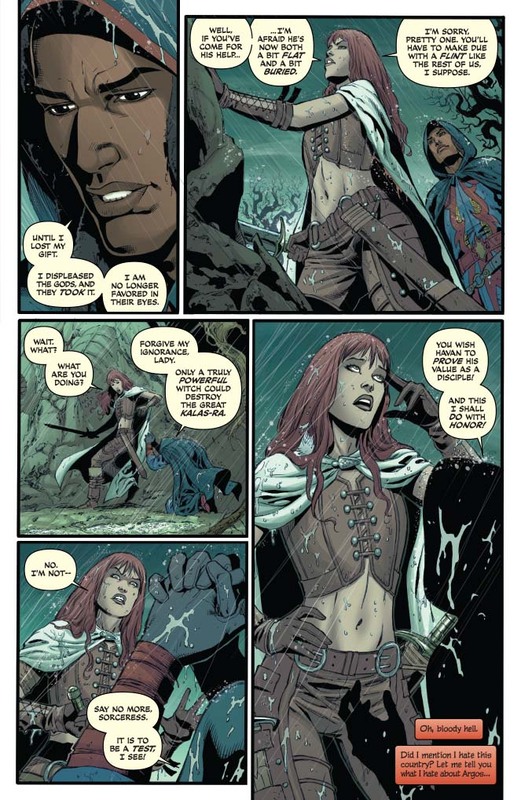 In the grip of a vengeful obsession that is all-consuming, the heroine barely recognizes herself. 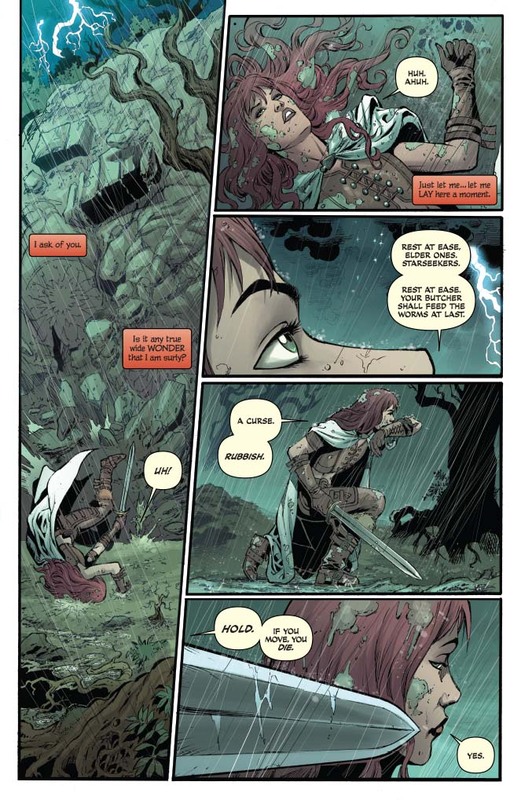 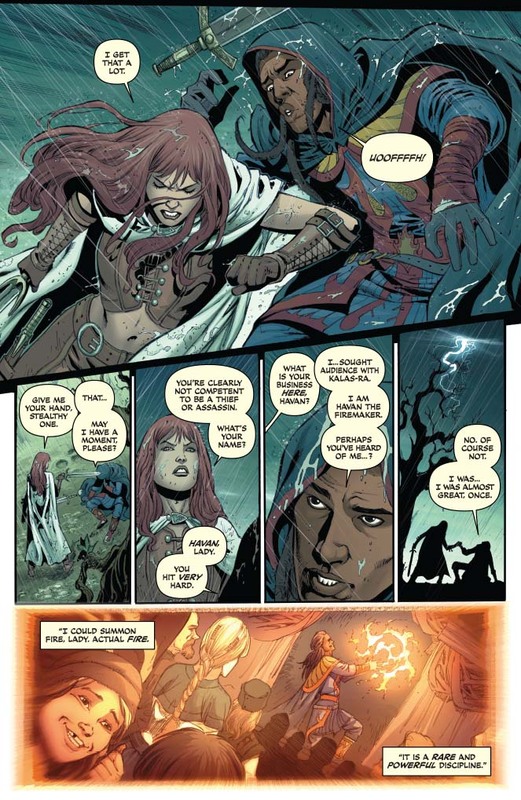 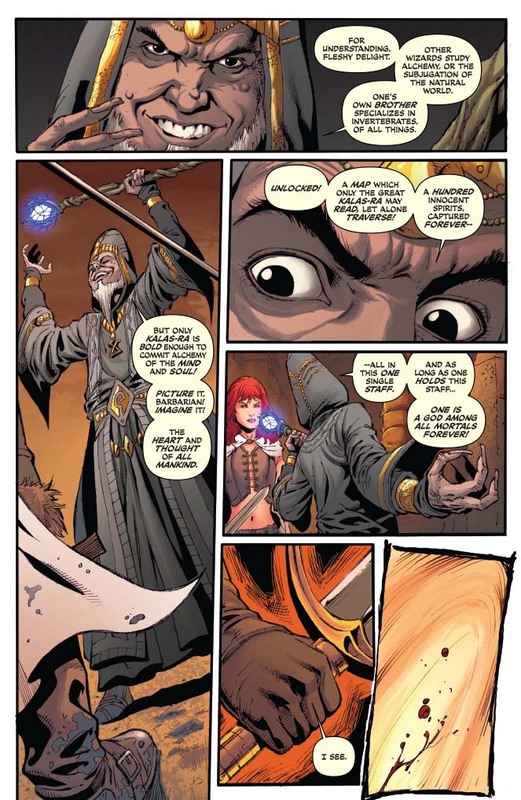 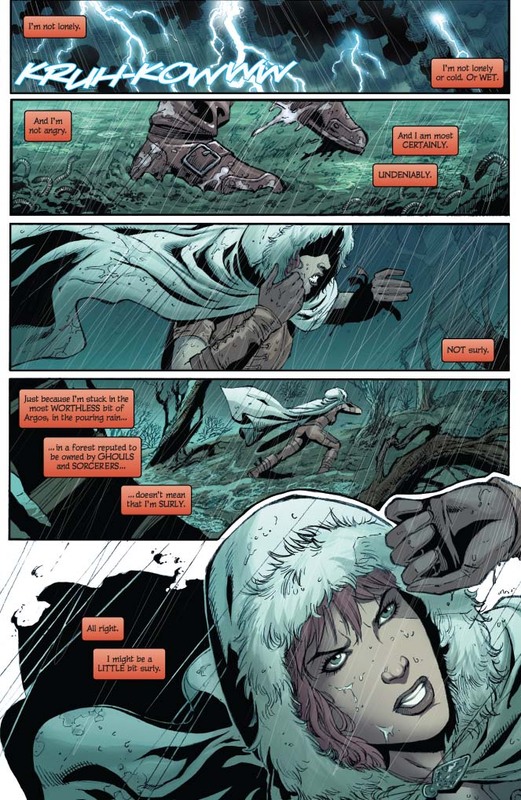 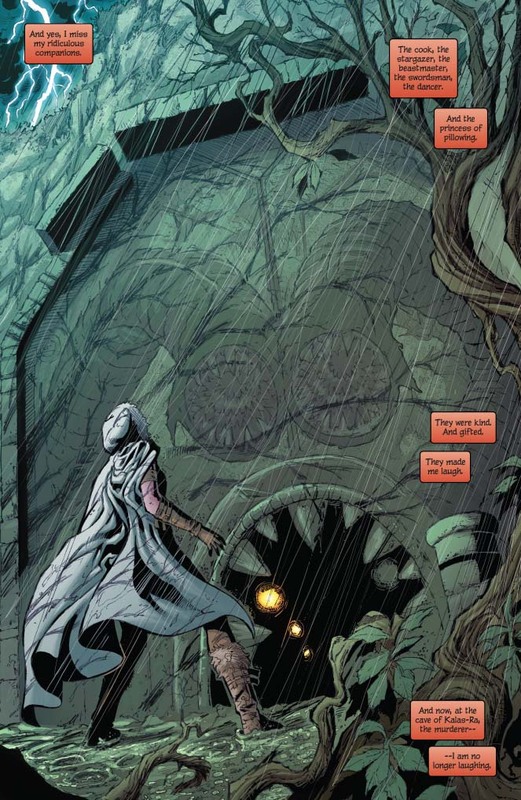 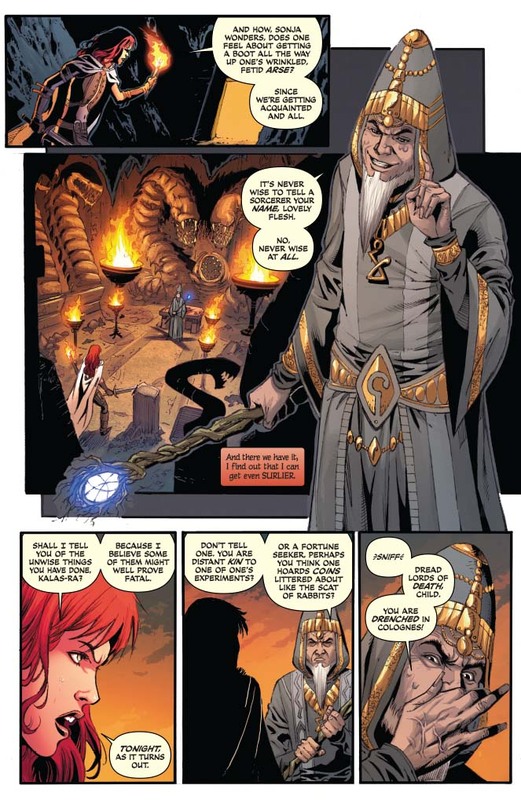 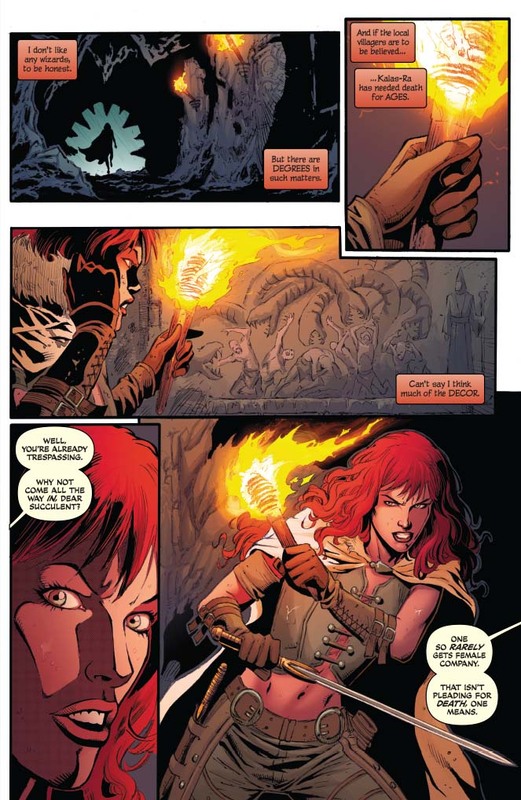 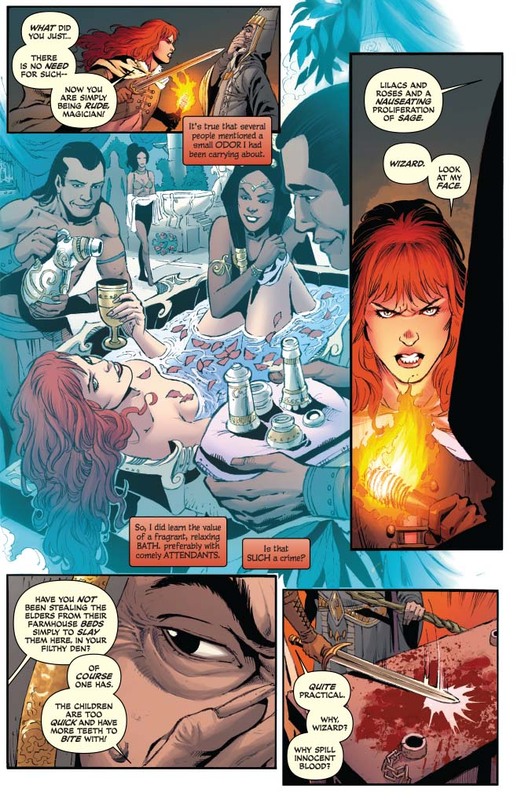 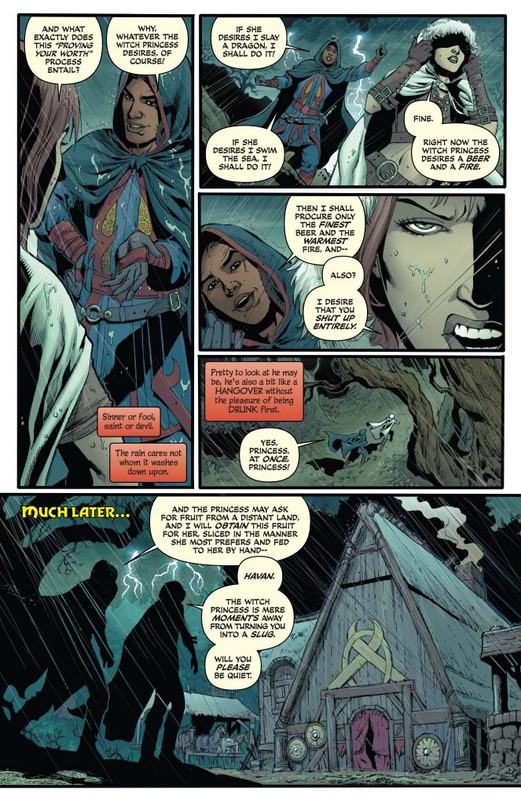 Can even the unconquerable Red Sonja return from a darkness so complete? 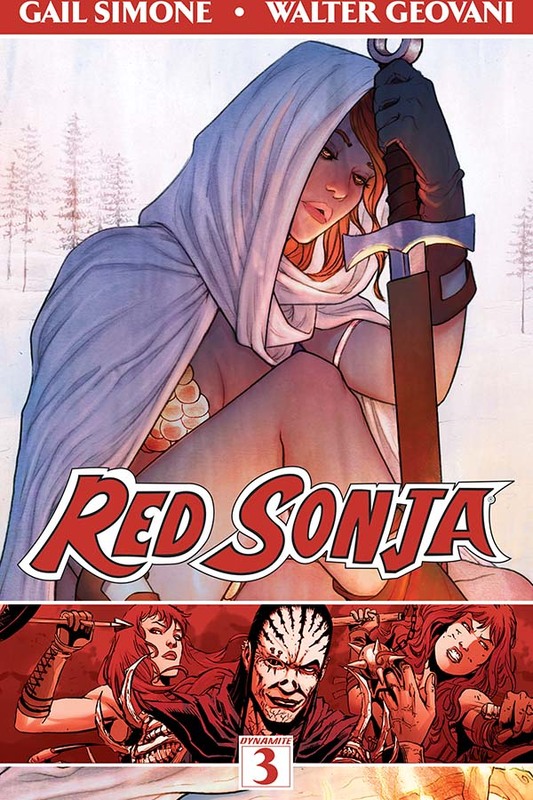 Includes an original script by Gail Simone, as well as extensive cover gallery by talented female artists, hand-picked by Gail Simone, including Jenny Frison, Stephanie Buscema, Renae De Liz, Yasmin Liang, Emma Vieceli, Cat Staggs, Rebecca Isaacs, and Adriana Melo.